With an eye toward developing new leading-edge technology to drive better health outcomes, Mount Sinai Health System and the Hasso Plattner Institute on Friday jointly announced a new digital health organization designed to spur new advances in artificial intelligence and other emerging healthcare technologies in the U.S. and abroad. Hasso Plattner Institute is a German IT systems engineering research faculty at the, University of Potsdam, whose namesake is the founder of SAP. 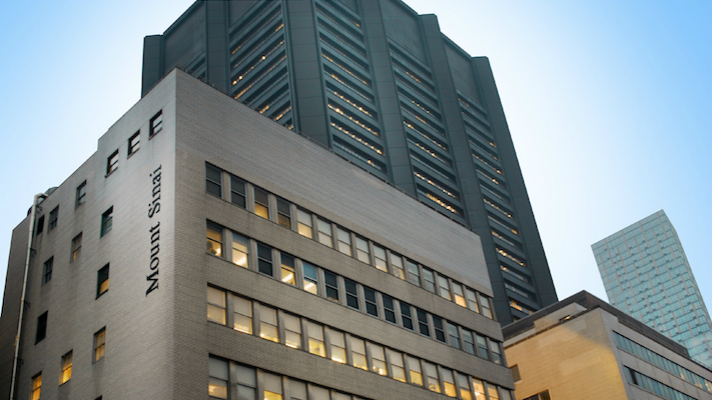 The new Hasso Plattner Institute for Digital Health at Mount Sinai, funded with a $15 million gift from the Hasso Plattner Foundation, will focus on health sciences, biomedical and digital engineering, machine learning and other emerging tech as it researches new predictive and preventive digital health tools for precision medicine, population health and value-based care. The institute will be co-led by Joel Dudley, associate professor of genetics and genomics at the Icahn School of Medicine at Mount Sinai, and Dr. Erwin P. Bottinger, professor of digital health and personalized medicine at the HPI and University of Potsdam. They'll oversee projects, some of them involving patients, that will research and test prototype digital health tools for consumers, patients, providers and health systems, in the U.S. and Europe, officials say. They'll also work to establish organizational frameworks for researchers at HPI and Mount Sinai to more closely collaborate, and look for ways and boost funding opportunities for other researchers worldwide. Both Mount Sinai – New York City's biggest integrated delivery network – and HPI have significant and complementary resources in healthcare, life science, engineering and emerging technology, Dudley and Bottinger point out. At Mount Sinai, these include genomic and supercomputing initiatives such as the Institute for Next Generation Healthcare, which has developed an integrated translational biomedical research model, and the BioMe BioBank Program, which is enabling more efficient research for genetic, epidemiologic, molecular and genomic studies on large collections of research specimens linked with electronic health records. At HPI, three separate divisions – Connected Health, Machine Learning in Human Health and Personalized Medicine – are exploring new applications for AI, sensors and mobile tools for patient-generated health data, officials say. Other researchers are focused on improving human-centered design, security and knowledge engineering. "We know we can save lives, prevent disease, and improve the health of patients with artificial intelligence in real-time analysis of comprehensive health data from electronic health records, genetic information, and mobile sensor technologies," said Bottinger, in a statement. "The new Digital Health Institute will serve as an opportunity to leverage our combined expertise in these areas at scale in one of the largest and most socially and economically diverse health systems in the country," added Dudley. "We believe the HPIMS will serve to turn the promise of digital health into reality at the front lines of next-generation healthcare." Mount Sinai is at the forefront of developing emerging technologies and innovating the ways they can be applied to healthcare. Its research is uncovering real-world evidence about the promise of challenges of artificial intelligence, for instance. And it recently opened a devoted research center to explore the ways blockchain can be applied to healthcare and other biomedical initiatives. More and more leading health systems are also opening up new institutes to research AI, machine learning and other envelope-pushing digital health advances. Earlier this month, for instance, Cleveland Clinic announced the launch of its own Center for Clinical Artificial Intelligence. In 2017, NewYork-Presbyterian built an AI command center that enables clinicians to monitor what’s happening in patient rooms from an off-site location by incorporation AI technologies into daily clinical monitoring routines. "This endeavor will usher in a new era of digital health at Mount Sinai that advances the field of precision medicine," said Dr. Dennis S. Charney, president for academic affairs at Mount Sinai Health System. "By leveraging our shared knowledge and academic excellence, Mount Sinai and HPI are positioned to find solutions that will revolutionize healthcare and science, and improve health nationally and globally. "This collaboration brings together two internationally renowned institutions, whose education and research programs complement each other," added Christoph Meinel, CEO of the Hasso Plattner Institute. "It also lays the groundwork for new joint research projects in the area of digital health and medicine."